This store opened in October 2016. 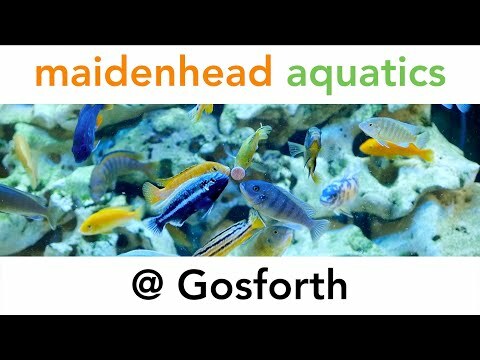 Just off the M1, the store is easy to reach and we offer a wide range of products for all your aquatic needs. If for any reason we don't have what you require, we'll do our very best to get it for you. We stock a wide variety of tropical fish from everyday Neon Tetras to "L-number" plecs and Malawi Cichlids. We also have a great variety of Fancy Goldfish for avid coldwater fishkeepers. Our aquarium range is huge, including our exclusive range of solid oak AquaOak aquariums and cabinets. We also carry the exclusive range of AquaManta range of aquariums, EFX external filters and IFX internal filters. In our outdoor section we stock a huge selection of pond fish including Goldfish, Orfe, Koi, and Sterlets for larger ponds. If you’re thinking of building a pond, you can choose from PVC and rubber liners, pre-formed plastic ponds plus all the necessary pumps and filters. We look forward to seeing you and providing all the friendly, expert advice you need, so if you have any issues please call.